In the last 30 years, most first-generation Camaros have found themselves on the restoration rotisserie or on the show field, rather than the street. So often is the case where a collector or enthusiast has the car restored to showroom condition, only for the car to spend most of its time in the garage. Jim Gelfat isn’t that guy. 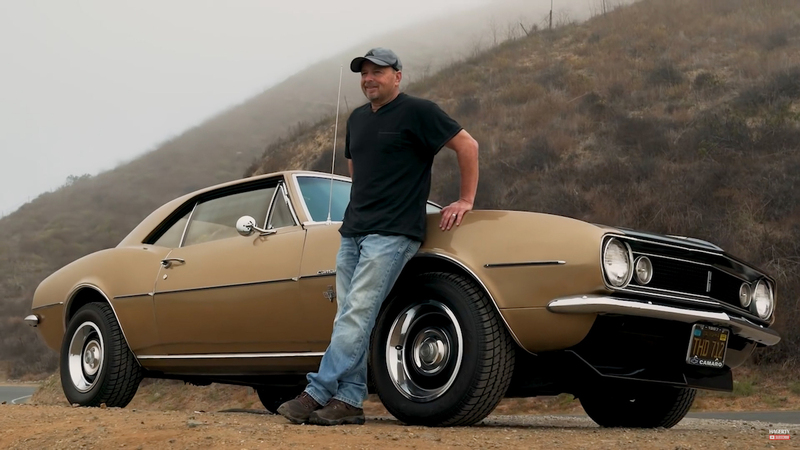 In fact, he came across his ’67 Camaro by happenstance, when a friend of his told him about a car sitting idle in a dusty garage buried beneath several boxes. Upon removing all of the junk out of the way, it was then that Jim discovered his next project. As a business owner, he admits, that life can become stressful at times and he uses his Camaro as an escape. As an entry-level base model, with some where and tear from previous owners, Jim makes no apologies for the blemishes or for the fact that it’s essentially a daily-driver. There are plenty of dings in the sheetmetal, some trim could probably be replaced and the header panel doesn’t even match the rest of the car. Jim doesn’t let it bother him, as he essentially refers to the car as a full-sized Hot Wheels, that he gets to play with on the streets of California. The film was short and to the point, and although we don’t get to see the engine, the inevitable small-block that resides under the hood will probably be running for years to come. If you see Jim out on the open road in Southern California, don’t forget to give him a thumbs up!